Returning from China, Resuming Normal Business Hours, and Shopping Small. Now that I’m properly rested and the jet lag is long behind me, I’d like to take some time to thank everyone for their patience, as I know some of you couldn’t wait for me to get back! 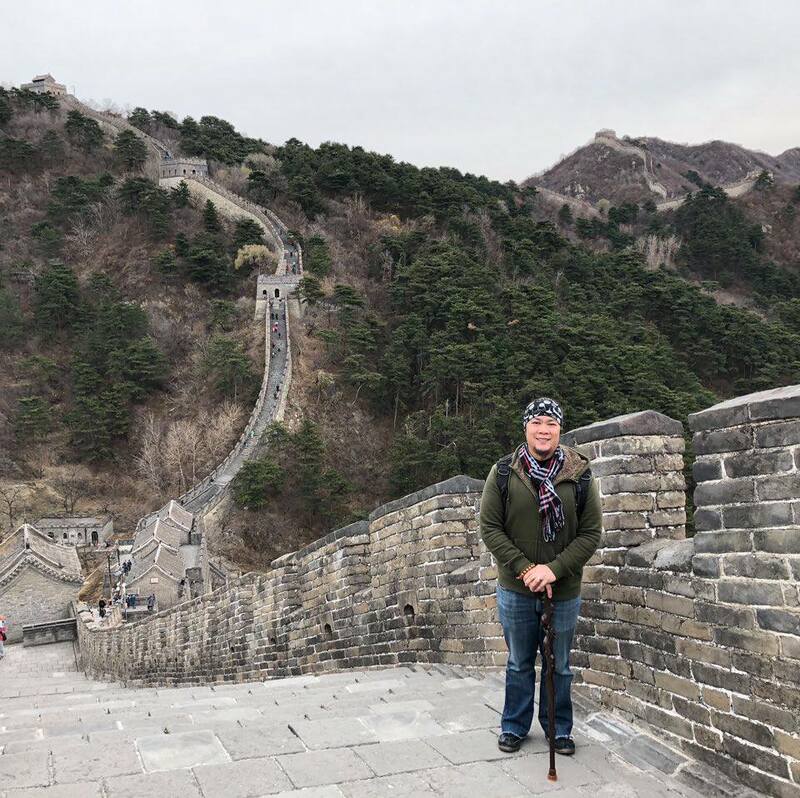 I had been planning the trip to China for quite some time, and it was an amazing experience. It’s a totally different world with such a vast and fascinating history and an intriguing culture. 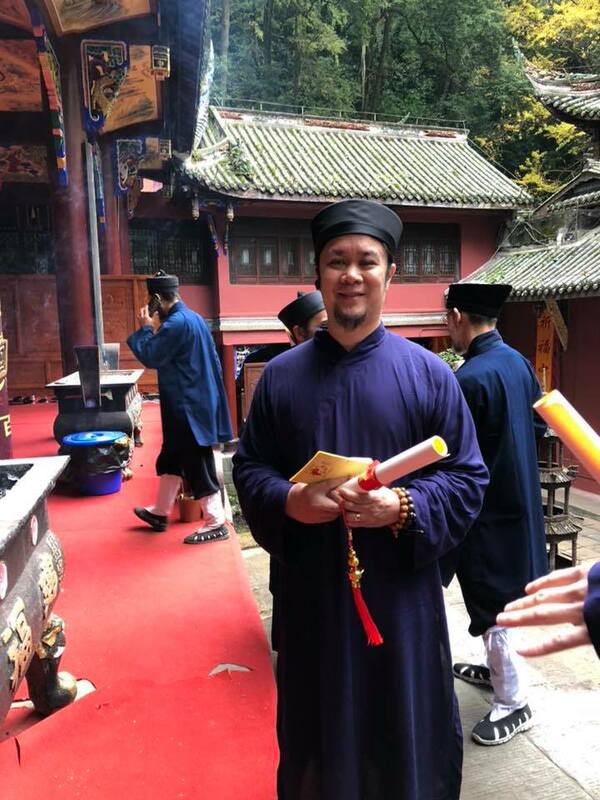 The true reason for my trip to China: years of research, patience, and spiritual practice led me to the moment on November 7th of becoming officially initiated as a 23rd Generation Quanzhen Longmen Daoist at Jianfu Palace in Qingcheng Shan, China – the very birthplace of Daoism / Taoism. 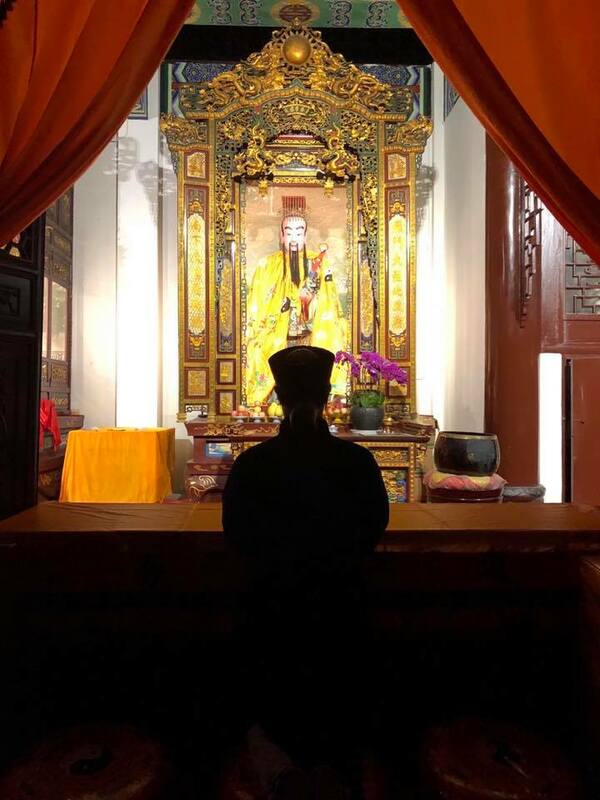 For two weeks all eleven of my colleagues and I spent time with four Daoist masters learning several different practices of Daoist healing and cultivation methods such as qigong, talismans, meditation, and invocations. And when the time came, four of us became ordained Daoists in a beautiful and life-changing ceremony. It was truly an honor! Now that I’ve vowed to take on more responsibility to study and cultivate my mind and body, I hope to someday teach to my community The Way of natural living, compassion, inner peace, and happiness through the teachings of Daoism. As most of my clients know, I’m a very spiritual person so this doesn’t really change much about how I practice healing techniques at Purple Cloud, but since I’ve been back, some people had commented how much more intensely they feel my energy healing treatments with a deeper sense of relaxation! Now that I’m back and well rested, I’m back in the office Tuesdays through Saturdays from 11am till 7pm. As of right now, my next available appointment will not be till the first week of December. Stay tuned for holiday hours. 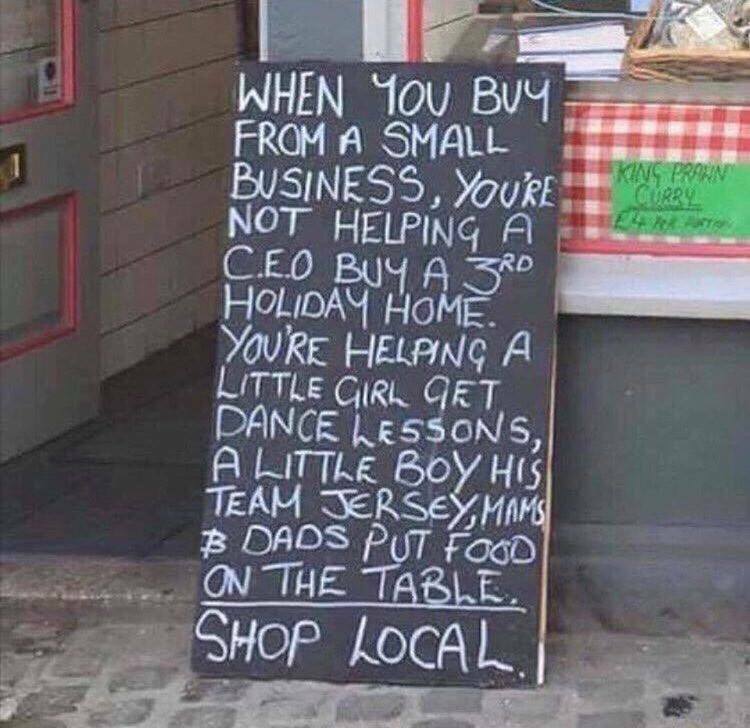 This holiday season, I’d like to encourage everyone to do their best to shop small and to shop locally. By doing so we’re helping support our community, as well as our friends and relatives who have taken the plunge into the exciting world of private enterprise just as I did. It takes a lot of hard work and sacrifice for small businesses to stay open, so what better way to say “way to go” than to support us during the holiday season! First of all, sometimes I’m booked well out a few weeks in advance, and if you’re in a pinch, you can always book with Nisa who works at Purple Cloud on Mondays! She’s an amazing acupuncturist and energy healing practitioner, and truly the only person in the planet who I can trust with the keys to Purple Cloud, so that says a lot! Just in the next neighborhood over in Edgewater is my friend Heidi Shimko at a place called Kwai Fah Acupuncture. Heidi is actually my Reiki teacher! If for some reason you can’t book with me or Nisa, then I’d recommend Heidi as my next go-to practitioner for the acupuncture-energy healing mix! For many of you who go through lower, middle, or upper back pain, as well as shoulder and leg pains, you have probably gone through or are considering physical therapy. In my own personal opinion, the most effective holistic alternative to physical therapy is not just pilates, but pilates with the ladies of LightSpace Pilates and Wellness. Not only are they Pilates gurus, but they have fully integrated the energetics of Chinese Qigong therapy, the same system that I study! An alumnae from the tutelage of LightSpace Pilates and Wellness is Kelli Kaul, a good friend and fellow practitioner / teacher of Qigong energy healing. Her rates for pilates or energy healing are reasonable and it’s best to give her a try! Finally, another one of my absolute favorite people in the world, Jessica Nowak, is a personal trainer, yoga instructor, self defense instructor (MMA / Krav Maga), and amazing Thai Massage practitioner. She’s an overall awesome person. I’ve personally have experienced her Thai Massage techniques and I don’t know if I can recommend anyone else. Please do give her a call! But one last thing…. since tax season is just around the corner, my wife Stephanie is an income tax consultant and works right upstairs from Purple Cloud! Previous Previous post: Purple Cloud Celebrates Five Years!